What started as an annual celebration of all things vinyl, marked largely by niche indie releases and celebrating independent stores, has ballooned to become a cultural phenomenon, now in its twelfth year, known as Record Store Day. Set to take place this Saturday, April 13, the music lovers’ holiday not only brings a massive number of new, collectible, and limited edition releases and re-issues from artists small and large, but, also, includes tons of festivities at independent record stores across the nation. Being the music obsessed city that we are, Nashville goes all out every year, and there are so many happenings that it’s hard to keep track. 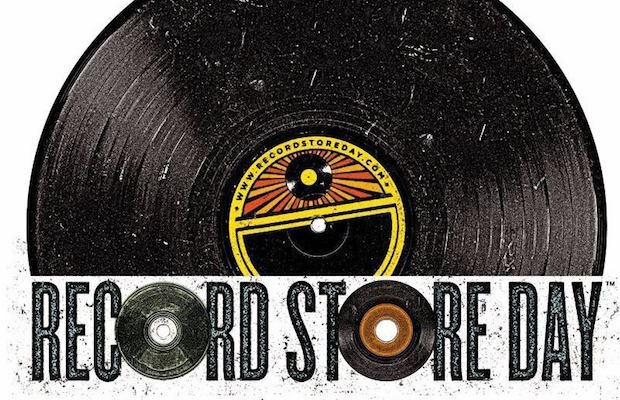 That’s why we put together this annual guide, detailing all the stores, sales, performances, events, and releases you can should be privy to in order to help navigate RSD. This year is a bit of a bittersweet one, as there’s a noticeable drop in local record store options for the first time in recent memory. Riverside Village (and then downtown) institution Fond Object went from two locations to none, the somewhat under the radar Vinyl Bunker closed its storefront, and Atomic Nashville (which didn’t stock RSD releases, but still got in on the action with sales and performances) also shuttered after a brief move to Five Points. Even Grimey’s, arguably the most famous record shop in town, was forced to relocate to its new east side home, all serving as a sobering reminder than even in a music loving city, at a time when vinyl is seeing a massive resurgence, local record stores are still a small business, and in town becoming increasingly more expensive to navigate, it’s more important than ever to support them as much as you can. Read on for the full Record Store Day rundown, and start planning your day! As Nashville’s largest and best-known independent record store, Grimey’s has definitely become the destination for all things Record Store Day. That has its pros and cons; you’ll have to plan to arrive very early (a few people even camp out overnight), and fight through large crowds to find your coveted wax. On the flipside, the selection is amazing, there are all kinds of extra goodies, and there’s plenty of free fun to be had, including performances from an impressive slate of artists. This year also marks the shop’s first Record Store Day since relocating to East Nashville, which means it’ll be an extra special celebration, and also that you’ll be in closer proximity to some of the city’s other popular shops. WHERE: 1060 East Trinity Ln; RSD releases will be in the basement (in the bookstore space) and the line will form at the back door, with live performances upstairs at the main shop stage (which means limited capacity), an outdoor sidewalk side, and food vendors and community partners around the site. WHEN: Sales will officially begin at 9 a.m. (an hour earlier than years past), but the line could start forming as early as Friday night. The grassy lot beside Grimey’s is open for anyone who intends to camp (with port-a-potties provided), and the line will form at the back door in the morning, with the staff arriving around 7:30 to help get things organized. Music is isolated to the afternoon this year, rather than the all-day backyard jamboree of the past, but it’s still free and all ages, with limited space and WXNA DJs around to spin in between. WHAT: Expect to find virtually every release on the official Record Store Day list, and a few that aren’t. Plus live music, food and food trucks (Smoke Et Al, $2 off at Nicoletto’s around the corner with a RSD receipt), drinks (including FREE BEER for those of age), free swag, local vendors and organizations, and tons of enthusiastic music lovers. WHO: Grimey’s will feature performances from famed local singer Anderson East (dropping Live at The Ryman for RSD) and r&b soul group Alanna Royale (who are celebrating an exclusive RSD 7″), plus South Carolina rootsy indie rockers SUSTO, and the great DJs of WXNA. WHY: If you want the biggest, busiest, most comprehensive Record Store Day experience, Grimey’s is the spot. It’s an especially good choice if you’re not as bent on finding all of your record picks (they’ll go quick), and simply want to have a fun time and catch some live music. It’s also a chance to welcome one of Nashville’s most enduring shops to the east side! Smaller but just as well-curated, East Nashville’s The Groove has definitely developed a reputation for throwing a solid Record Store Day shindig every year, and this year they’ve once again partnered with Acme Radio Live and several great sponsors to make it extra cool. They’ve got an eclectic slate of bands and, generally, a selection of RSD releases (in availability, if not quantity) to rival Grimey’s, but with a somewhat smaller crowd to deal with. WHERE: 1103 Calvin Ave; RSD releases will be inside, while additional festivities, music, and vendors are planned for outside. WHEN: The Groove will open at 9 a.m., but expect the music to kick off at 11. WHAT: Most RSD releases will be available. There will be also drinks (from Little Harpeth, Yee-Haw Brewing) and food (The Gambling Stick, The Mac Shack, Donut Distillery) on site, along with activities, prizes, and other surprises. WHO: LUTHI, Future Thieves, The Gripsweats, Camm, Blank Range, Erin Rae, and last-minute special guests Grizfolk and The Dip all perform, and the Acme Radio Live DJs will be spinning tunes. WHY: If you want to stick close to the east side, potentially have less of a crowd vying for the same items, or if The Groove’s music lineup is more your cup of tea, this could be a slightly less intense alternative to Grimey’s (and you might even save enough time to slip to another store). Last year, new-ish shop Vinyl Tap officially participated in Record Store Day for the first time, and offered a great (and somewhat less-crowded) alternative to some of the longer-running neighborhood haunts. Part bar (with an excellent craft beer selection) and part immaculately curated record store, they’ve also become a great destination for hosting local music. With an amazing slate of bands curated by Cold Lunch, a smaller crowd, and a decent selection, Vinyl Tap is now a solid east side RSD alternative go Grimey’s or The Groove. WHERE: 2038 Greenwood Ave; RSD releases will be in the shop area, and we’re not sure if music is inside or outside, but it’s not a huge setup, so follow the sound. WHEN: The shop will open at 10 a.m., and music starts at noon. WHAT: Combining wax and drafts, Vinyl Tap is well stocked with great vinyl and great beer. Aside from their RSD stock, there’s a 15-20% storewide sale on everything else, plus drink specials from Belle Meade Bourbon and Dogfish Head, along with treats from Caity Pies, raffles and giveaways, free swag, and more. WHO: Quiet Oaks, Peachy, Only, Sad Baxter, Hari The Band, Whoa Dakota, and Snake Cheney, curated by the fine folks at Cold Lunch, and, for our money, the coolest lineup all day. WHY: It’s close enough to other east side stores that you could easily try more than one spot, in case you’re having trouble tracking down a certain release. And if last year was any indication, Vinyl Tap should have a competitive selection with less crowd, plus great tunes and drinks for an all-day hang. Third Man Records does not officially sign the Record Store Day pledge, and that’s because they don’t carry releases from outside artists. While this might be a turnoff for those of you with long shopping lists, the Third Man-obsessed will surely find plenty to salivate over in TMR’s always-fun Record Store Day celebration and in-house RSD releases (which are sometimes available at other participating record stores, though typically not in the same exclusive color variants). WHERE: 623 7th Ave S; Releases and speciality items will be available in the main storefront, with the music and activities situated around the complex (the layout varies year to year). WHEN: The shop opens at 10 a.m., and music will begin at 4:15 p.m.
WHAT: Third Man is really doing something special for vinyl obsessives this year, and jumping on the RSD resurrection of an obscure, defunct Japanese trend of tiny 3″ single releases. They partnered with Crosely to release their own branded Third Man Records Triple Inchophone version of a new RSD3 Mini turntable, only available at the TMR storefront (the non-TMR version is a RSD exclusive available at other shops), and are releasing a 3″ box set of six White Stripes singles: “Let’s Shake Hands,” “Lafayette Blues,” “The Big Three Killed My Baby,” “Hello Operator,” “Lord, Send Me an Angel,” and “Conquest,” exclusively at the TMR storefront. Additionally, 3″ Third Man singles for The Raconteurs’ “Store Bought Bones,” The Dead Weather’s “Be Still,” Jack White’s “Love Interruption,” and The White Stripes’ “Candy Cane Children” will be available in mystery sleeves across all participating RSD locations. Other Third Man releases, also available at other RSD spots, are Captain Beefheart’s Trout Mask Replica 2xLP on 180-gram black vinyl, and Griot Galaxy’s Kins limited edition LP on black/white splatter “Liquid Darkness” vinyl. WHO: New York punks SERVICE and local garage rockers The Shidels are the only performers this year, but after last week’s huge 10th-anniversary bash, we don’t blame Third Man for scaling back. WHY: If you’re looking to snag one of Third Man’s enticing, exclusive releases or you’re a TMR and/or Jack White devotee, this is a Record Store Day experience like no other. The Great Escape (111B Gallatin Pike N & 5400 Charlotte Ave) – Often overlooked, comic book/toy/music chain The Great Escape tends to stock a decent selection of vinyl at both their Charlotte Ave location and Madison superstore. They do officially participate, so while you might not find all RSD exclusives, their 7 a.m. opening time could make them an attractive first stop. Additionally, both stores are offering 20%-50% off of used releases, will be giving away freebie, and the Madison location will have WXNA DJs while the Charlotte location will have live performances this year from Local Cult, Ethan Kyle, and Emma Dilemma beginning at noon! Luna Record Shop (230 Franklin Rd; Franklin) – Nestled in The Factory at Franklin, well-curated, boutique record store Luna will open at 8:30 a.m. (with lines starting at 6), and are offering both RSD exclusives, a 20% sale on used vinyl, and 7″ mystery bundles for their fourth year participating in the holiday. Though small, their selection is great, and this year they’ve ordered their most RSD inventory yet, so this is obviously a solid bet if you live closer to Franklin and don’t want to trek to Nashville. CD Warehouse (2143 Gallatin Pike N) – Long-running chain CD Warehouse officially participates in Record Store Day, and though it’s unclear exactly how many new offerings they stock, they definitely do carry RSD exclusives, making them another likely to be overlooked option that could prove to be a less-trafficked gem. The Madison location opens at 7 a.m. for you earlybirds, adding another way to get an early start before visitng other locations. McKay Books (636 Old Hickory Blvd) – Mostly known for their used selection, McKay does officially participate in Record Store Day, so they’ll stock some exclusive releases (though we’re unclear on how many). Their RSD event is simply vinyl-focused, with no extra actives planned, but they do also have a massive selection of non-RSD items to peruse as well. McKay opens at 9 a.m.
Boulevard Record Shop (2006 Belmont Blvd) – Student-run Belmont area record shop Boulevard is another somewhat under the radar option, and with an 8 a.m. opening time, it’s another good pick for early risers, Belmont students, or those who don’t live on the east side. We’re not sure what all they’ll have new release-wise, but they’re definitely stocking RSD stuff, and will also boast Kokos ice cream and live music begnning at 11 a.m., with performances from Jordann, Hannah Spain, Shannon McNeal, Secondhand Sound, Isaiah Zach, Masek Porter, Dogs in Slow Mo, and Say Kids. Alison’s Record Shop (994 Davidson Dr.) – West side destination Alison’s Record Shop won’t be stocking any new RSD exclusives, but their impressively curated selection of vintage vinyl will be on sale for 20% off all weekend. They open at their regular 10 a.m. time, and while there doesn’t seem to be anything else planned this year, if you’re on that end of town, it’s still another cool local shop to support. Ernest Tubb Record Shop (417 Broadway) – Country-leaning downtown record store Ernest Tubb technically officially participates in RSD, though it appears that they almost exclusively (and unsurprisingly) order country releases. If that’s all you’re looking for, it would certainly be a unique RSD option. Doors open at 10 a.m. The Country Music Hall of Fame and Museum Shop (222 5th Ave S) – Did you know the Country Music Hall of Fame has a gift shop that sells vinyl? A testament to how much RSD has grown, they started getting in on the action as well, and, while they apparently will have exclusive releases, probably don’t expect to see them stock a bunch of punk, hip hop, and metal for the occasion. Expect the usual 9:30 a.m. opening. TWiN – Get the full weekend rundown on evening shows in our This Weekend in Nashville feature. [TICKET GIVEAWAY] Win Weekend Passes to Bonnaroo 2017!